As Michael Phelps officially joins his Mer-Family under the sea full time there is now a gap in the aquatic arena. So it was with extra gusto I took to the pool this morning for my swim walk. I can now do about ten swim walk lengths of the pool at my local gym without triggering a migraine. The other day I lost count because I was so busy wondering which sport would most likely win me Gold at Rio 2016. I narrowed it down to Badminton and Ping-Pong. Unfortunately, this meant I went over my allotted ten lengths and duly got a migraine a couple of hours later. Whilst in the pool, however, I did notice that several pregnant women and a Granny overtook me. So even if I successfully petitioned for swim walking to be a sport by 2016 I don’t think I’ll be winning Gold for that. But talking of Mer Folk, today I watched the Synchronised Swimming and I think this could be the sport for me! Last week I asked my Physio and Neck Doctor (Orthopaedic and Sport Physician) what sport they think I should take up when I’m ‘better'. My Neck Doctor actually laughed out loud when I told him about my Olympic aspirations. Meanie. (He probably laughed because he treats some of the GB team.) My Physio was kinder and told me to aim for low impact sports, i.e swimming. 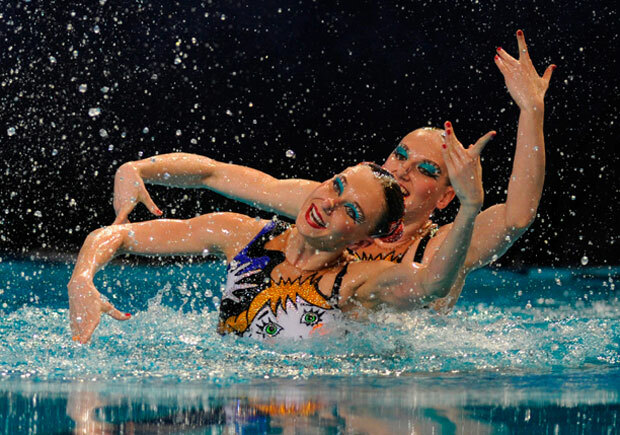 So watching the ‘duets’ today I gleefully noted that several teams danced/swam/water-plies (??) to the theme tune from “Sherlock Holmes” by Hans Zimmer and that one move is even called ‘Evita’. Yes, this could be a sport for me, even though I’m pretty sure this isn’t quite a sport in the vein that Usain Bolt would approve of. I’m also slightly alarmed at the psycho grins plastered on the girls faces and the fact that they put Gelatin in their hair. I wonder if these girls have been deprived of Oxygen for too long. The outfits are also very Strictly Come Dancing, though the team from Brazil had swim suits with human anatomy embroidered on, and swimming caps replicating brains…. but at least it was educational. The point is, it’s low impact. I reckon in four years I could get there, as last week, for the first time in over a year, I got back onto 1kg hand weights. Exciting news I know. But it’s painfully slow progress and I did think my arms were going to fall off. Like swim walking I do one rep too many, or one rep with a shoulder muscle out of place, and a migraine creeps in, but I know it’s the only way to build up my stamina and get back to living a more ‘normal’ life. i.e be able to sit at a computer and type for more than two hours a day; quite crucial for someone who wants to be a Writer. 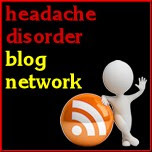 As with everything migraine related there is never a quick remedy. Seriously though, I’m finding the Olympics, especially Jessica Ennis’ abs, most inspiring. Mary King, aged 51, won Silver for GB in the Team Eventing which I was lucky enough to attend with some friends. None of us had ever watched Eventing, especially Dressage before, and we surmised it’s essentially gym for horses. But Mary King is particularly inspiring because not only is she 51 (still time for me yet) but she actually broke her neck in 2001. When she went to hospital she was initially told she has just suffered whiplash! I was told exactly the same after my car accident, obviously my spine fracture was much more minor, and took 13 years to discover. But look at the come-back she made – my synchronized swimming career is not looking so ridiculous now, is it! For anyone with an injury, and especially those of us with migraine, getting the balance right with exercise is incredibly tricky. I’ve written here before about my perilous experience with exercise but today I received the newsletter from the National Migraine Centre in London which had a short article by their Medical Director, Dr Giles Elrington, offering great advice for migraineurs wanting to try and gently get back into an exercise regime. This might not get you to Rio 2016 but it will get you off the couch. Meanwhile I'm off to buy some nose clips and Gelatin. Has the Olympics inspired you to dig out those old trainers? Worried that it might leave you vulnerable to migraine attacks? Dr Elrington shares his thoughts. The potential advantages of exercise for migraine prevention are numerous, particularly if it enables reduced drug intake. Exercise obviously has other important health benefits too such as improving physical strength, fitness, sleep and depression as well as reducing blood pressure, cholesterol and weight. Disrupted sleep, depression, heart problems and obesity have all been linked to migraine, so exercise can be an all- round migraine deterrent if you go about it in the right way. Many migraineurs are concerned about starting an exercise programme because they feel that it can actually cause attacks. Certainly, many have found that unaccustomed strenuous and intense exercise can precipitate migraine so it is important to be aware of your own fitness levels. Start your exercise program gradually and build up over several weeks. Always warm up and cool down, stretching before and after to prevent muscle tension. Ideally, exercise at the same time every day, so your body and your brain beccome gradually accustomed to regular exercise. Dehydration and a drop in blood sugar levels is a key migraine trigger, so make sure that you take on board plenty of fluid before, during and after exercise. Eat a slow release meal or snack at least an hour before exercising, for example a banana or a bowl of fibre-rich cereal. The best way to see any changes caused by your new healthy regime is as always to keep a diary. If you don’t already use them, find our own templates here. If you fancy taking up running, the NHS has a fantastic ‘Couch to 5K’ podcast, a 9 week programme that gradually builds up from walking to running 5km - ideal for beginners. 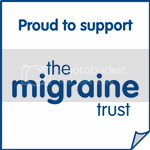 Find out more about the National Migraine Centre here and to book an appointment with one of their headache specialists. You can also contact them about receiving the email newsletter. I'll be writing soon about my own experience with this heaven for migraineurs. i saw those swimsuits and thought "what in the bloody blue blazes???" and then i thought "i want one". i'm like that. i never thought of walking in the water. i'm going to try that. i am currently TRYING to do 2x 5mins swimming with a rest in between. still triggering migraines. so maybe a bit of walking?